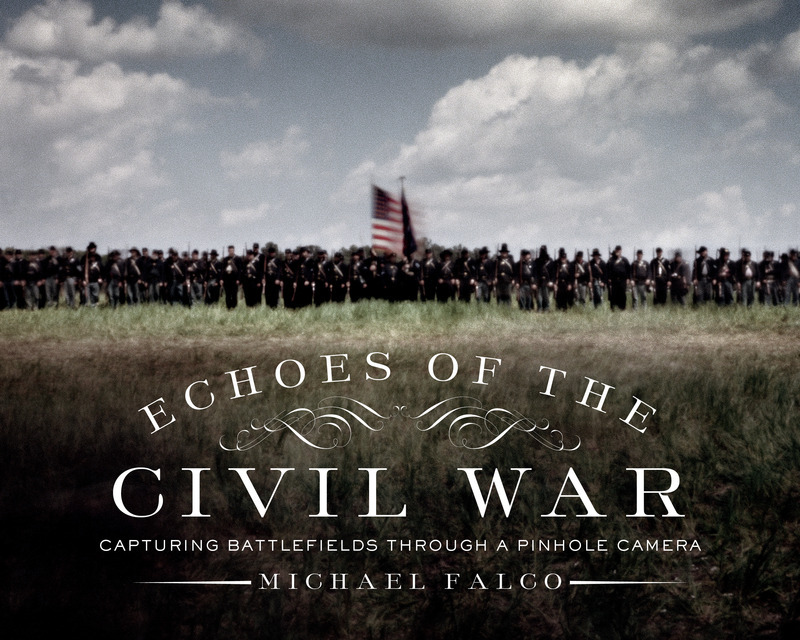 In 2011, Michael Falco set out to document the American Civil War's 150th anniversary by photographing reenactments of more than 20 major battles—from the First Manassas, Antietam, and Chancellorsville to Gettysburg, Vicksburg, and Appomattox. But rather than shooting these historic re-creations in high-definition, Falco opted for a different, older medium: a pinhole camera. This antebellum photographic technology, shot from an on-the-ground perspective, captures these battlefields in a way that feels more “real” and fully realized than even the famous daguerrotypes made during the war itself. In Falco's transporting photographs, the smoke-filled battle reenactments become blurred and dreamlike, echoing the sentiments found in the actual letters and journals of soldiers who fought and died there. Throughout, historical photographs from the period offer context to the modern-day re-creations, showing just how much—or how little—has changed on this hallowed ground. One hundred and fifty years after the last soldier fell, Echoes of the Civil War provides beautiful and compelling evidence of a Civil War landscape that is, literally and metaphorically, still with us. Michael Falco is an award-winning photojournalist who lives and works in New York City. A regular contributor to The New York Times and National Geographic, Falco’s previous books include Along Martin Luther King: Travels on Black America’s Main Street. Many of his images are on permanent display in the 9/11 Memorial Museum, and his panoramic work documenting the Fresh Kills Landfill is in the permanent collection of the Museum of Modern Art.